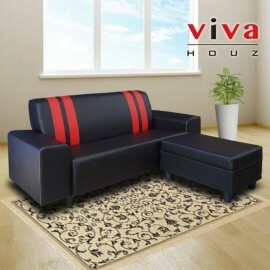 VIVA HOUZ - ALBINA sofa ~ represents outstanding value! A simple, yet comfortable ALBINA sofa set is always your best choice. Built with hard wood inner frame, padded with high density foam for com..
VIVA HOUZ - ANCORA sofa ~ represents outstanding value! A simple, yet comfortable ANCORA sofa set is always your best choice. Built with hard wood inner frame, padded with high density foam for comfor..
VIVA HOUZ - ELMA sofa ~ represents outstanding value! A simple, yet comfortable ELMA sofa set is always your best choice. Built with hard wood inner frame, padded with high density foam for comfort an..